COULD YOUR STORE BENEFIT FROM A CUSTOMER LOYALTY SCHEME? Whether you run a garden centre, farm shop or even a pharmacy, why not introduce a customer loyalty scheme to your store? Start rewarding your loyal customers with points that can be turned into money off their future purchases. Successful loyalty schemes like the Sainsbury’s Nectar card and Boots Advantage card have adopted this technique and are proving it is a great way to bring in new customers and encourage existing customers to become loyal. According to research done by Frederick Reichheld of Bains & Company, increasing customer retention rates by 5% increases profits by more than 25%. (1) So customer retention is very important and if you are struggling to keep customers the answer could be to offer them a loyalty card, increasing their loyalty to your brand. Do you want to encourage customers to spend more with you? Why not allow your customers to collect points every time they purchase from your business, and use those points as money off their next purchase? Customers tell their friends and families about their retail experiences. Providing customers with a worthwhile loyalty scheme will encourage them to talk about the scheme when sharing their experience of your store. Everyone always loves an exclusive offer or free gift next time they purchase from a store. This type of reward from using a loyalty card also encourages your customers to return to the store and shout about you. The happier your customers are, the more customers you will gain. Introducing a customer loyalty scheme can also help you collect customer data. Get your customers to sign up to your loyalty scheme, and get their permission to receive your promotional content so you can start using CSY’s Retail Intelligence Module. Our Retail Intelligence module runs alongside your loyalty scheme, and can also help with customer retention and product awareness. Learn more about our Retail Intelligence Module here. Do you want to introduce a loyalty scheme to your store but stuck on where to start? Don’t worry, at CSY we can provide you with bespoke, professional looking loyalty cards that integrate seamlessly with our EPOS system. Our in-house designer will make sure the cards are exactly how you want them to look, and fit your brand image with your choice of colour, logo and layout. We want the cards to be something you are proud to give to your customers and look the part next to your tills. 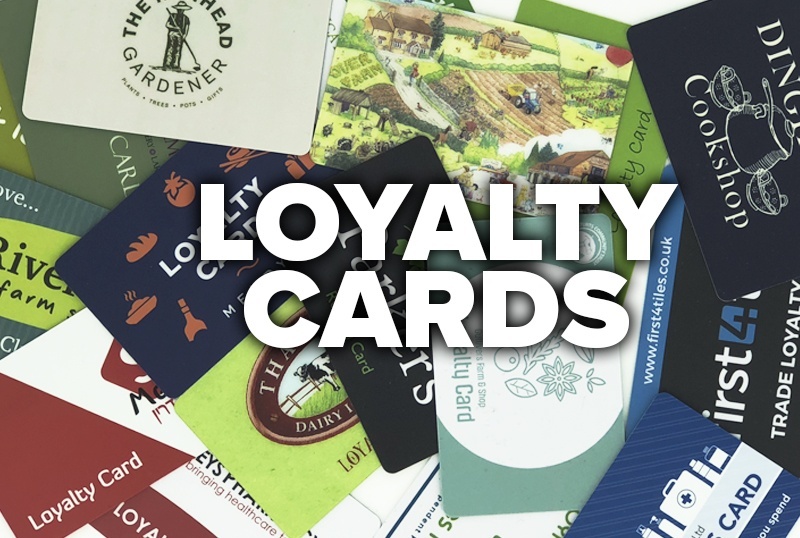 We currently provide many companies with loyalty cards, from garden centres and farm shops to pharmacies and DIY stores, and the feedback we have got from our customers proves a customer loyalty card scheme does work. General Manager of Uncle Henry’s, Emma Blandford. Mark Hidgcock, Managing Director at David Neill Mica Home & DIY. Peter Milne, Co-Head Gardener and Founder. If you are wanting to introduce a customer loyalty card scheme to your store, or upgrade your existing cards, call us today on 0115 948 4848.